Shaun Pulfrey is the founder and Chairman of Tangle Teezer Limited. He is just one UK entrepreneur whose daily routine sparked such an idea. Working as a hair colourist, Shaun found many of his clients with long hair suffered with the same problem - It easily became tangled. Over the years he developed a technique to detangle using his fingers and the flick of a paddle brush or a comb. He realised that tangles were a global problem, and that there wasn’t anything on the market to deal with them. In 2003, Shaun set out to find a solution to this problem and the result was Tangle Teezer, the world’s first detangling hairbrush. Now, over 10 years later, Shaun has patented the brush in over 30 countries. 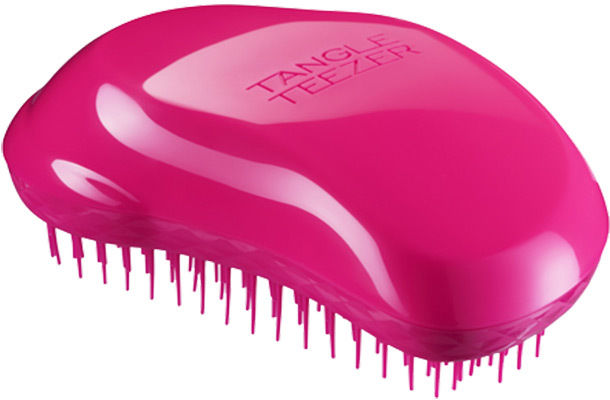 Each brush design is protected by design rights and the name Tangle Teezer is also protected as a trade mark. Back in 2007, Shaun took his product to BBC’s Dragons’ Den. Although the pitch didn't go to plan, the experience made him confident in his product and determined to pursue his dream. Recognising the need to protect his ideas was the first step Shaun made on the road to success. But, like any entrepreneur delving into intellectual property (IP) for the first time, he was unsure of where to begin. So how did he overcome this problem? He did a lot of research into the protection that might be available.He spent a lot of time in the British Library trying to get the right design, but also trying to work out if it his product was patentable. we had our first counterfeit in 2011 so I know what this feels like. It’s frustrating to see exact replicas of our products. The counterfeits even say ‘Made in Great Britain’ on the packaging, even though we know they’re made in China! Alongside the fight against counterfeiters, Shaun's future plans for Tangle Teezer are clear. By continuing to build the brand and inventing new products, he hopes to be the worldwide leader in hairbrushes. But if he was starting out again, what advice would he give himself?